The Omega Seamaster Planet Ocean Chronograph is a beautiful statement of amazing tradition, wonderful maritime legacy, unparalleled innovation and superior quality. 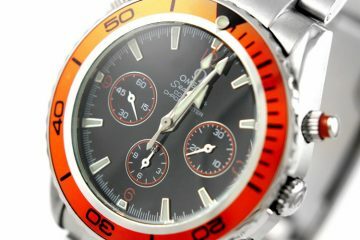 These are also the brand’s core characteristics, the coordinates that have guided its success. 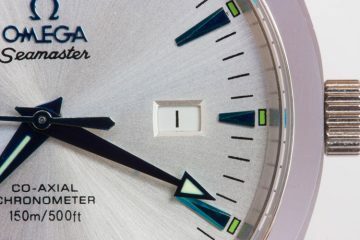 So what are the particularities of the Omega Seamaster Planet Ocean? This chronograph timepiece comes with a striking black dial, 3 small dials, a date window at 3 o’clock and a stunning sapphire crystal. The best part of the watch is the distinctive black ceramic bezel with the elegant silver diving scale, constructed by using the unique Ceragold™ technology. Furthermore, this model was designed to withstand to depths of 600 meters, is equipped with a helium escape valve, has a 45.5 mm case and is powered by the OMEGA Co-Axial calibre 9301 that is visible through the transparent caseback. It is a truly exceptional timepiece. 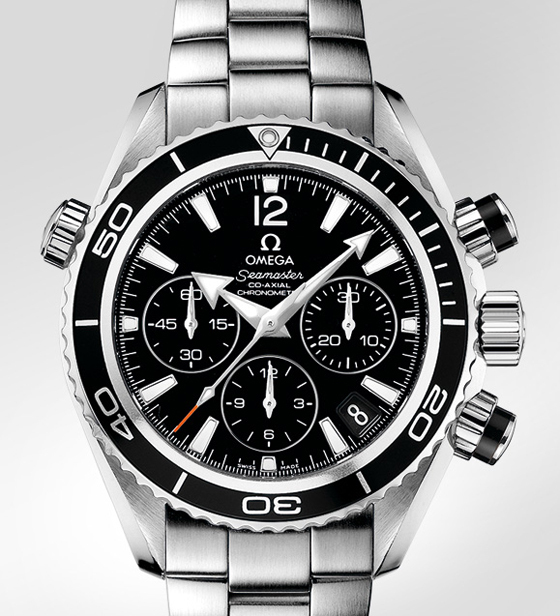 Surely, you would love to have a replica of this Omega Seamaster Planet Ocean Chronograph. If this is the case then here’s everything you need to know for finding the perfect imitation. 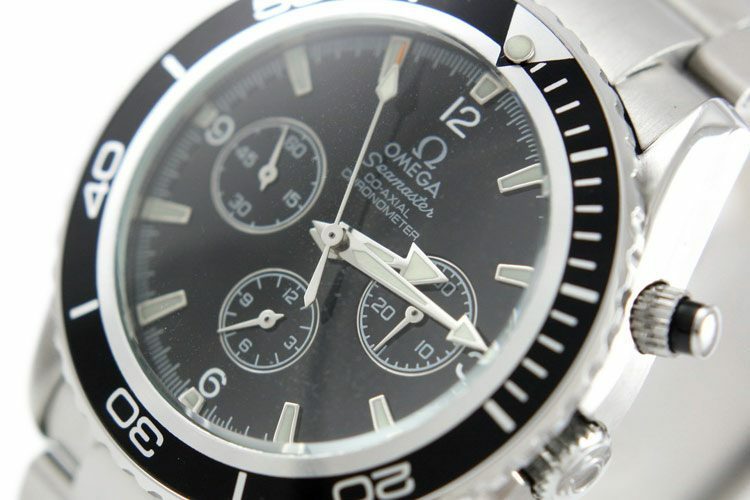 In this article, I will show you how to make a quick comparison between the genuine Omega Seamaster Planet Ocean Chronograph and a replica of the same model. The purpose is to determine how accurate the copy is. 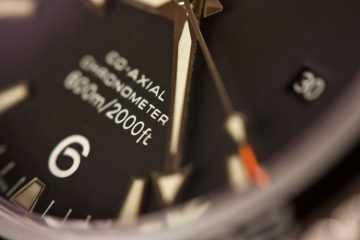 A quick look at the photos reveals the first problems- the ones regarding the dial of the watch. Maybe for an untrained eye these are not that obvious, but for anyone who knows a thing or two about the original timepiece these will instantly make the watch look phony. The issues are with the hour markers, the small dials and the date window. The original has only luminescent rectangular markers except the 12 index which is a numeral. The replica uses numerals for 3, 6, 9 and 12 o’clock while the rest are rectangular markers. Also, on the knockoff the 12 o’clock index is smaller than it is supposed to be. Next, the 3 counters should have just one line for outlining their form, but the replica uses two. Another mistake is the absence of the date window. The genuine watch has a date window between the 4 and 5 o’clock hour, whereas the replica has none. Oh, and let’s not forget the fact that the imitation timepiece has a very dusty dial. You will never find such an imperfection on the authentic product. 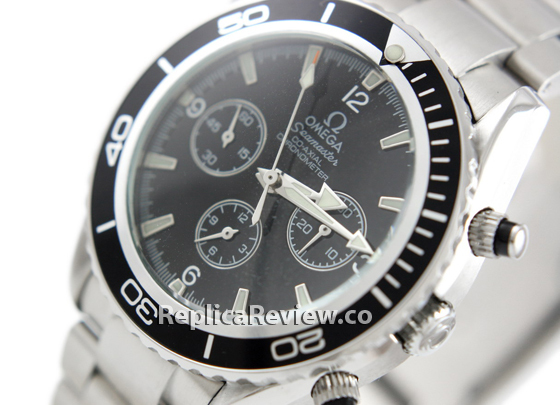 The outside of the this Omega replica seems to be perfect. The bezel is in the correct color and features perfectly designed indexes, the buttons and pushers are nicely crafted and the case and bracelet are polished as to look identical to the genuine ones. Everything has that authentic vibe and feel. 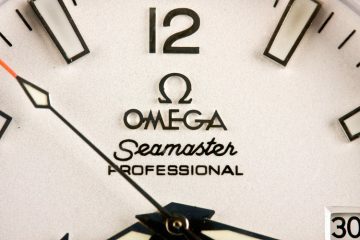 A very nice touch is the iconic Omega seahorse that is printed on the caseback of the replica watch. Once more, it emphasizes the attention to details and authenticity markings. 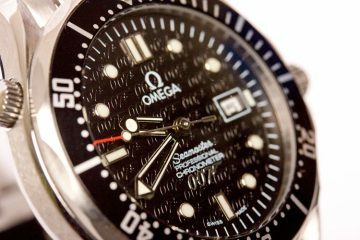 There you have it, a detailed guide for comparing the original Omega Seamaster Planet Ocean Chronograph with a replica. This will help you determine how genuine a copy is. Anyone who follows these simple steps will be able to order online a perfectly authentic looking fake watch. Hello where do you acquire your watches for review? I bought them from various stores. Tell me what model you’re interested in and I will tell you where I bought it. 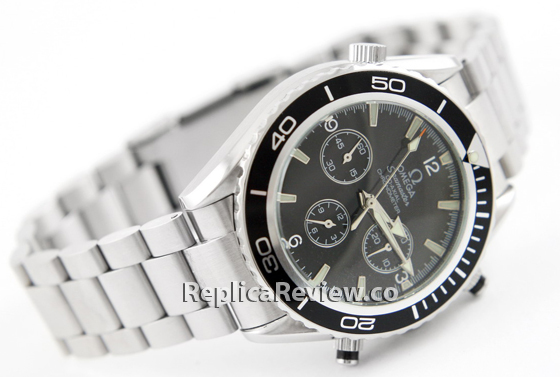 Im after a replica Omega Seamaster 300 Spectre edition, where would you recommend to buy. Hi Prakhar, I can recommend this site. They care very good quality fakes. In my experience, swiss replicas are more durable than japanese counterparts. However this doesn’t mean that price difference is justifiable since neither swiss not japanese knockoffs will last more than 2-4 years. Why will they only last 2-4 years? what makes them stop working? I have a watch i paid $250 for that i purchased at a surf shop and I’ve had it since 1998. Just curious as to why and how they don’t last, for the price you’d think they’d last as long as you didn’t swim with them. Yes, most of them last ~2 years. After that movement stuck. Some do work longer, like my submariner for example. Replicas with quartz movement last much more, but they don’t make Rolex knockoffs with this kind of mechanism probably because second hand ticks instead of moving continuously and this is a dead giveaway of fake. I think that it’s ironic that by replicating sweeping second hand they sacrifice life expectancy of the watch. 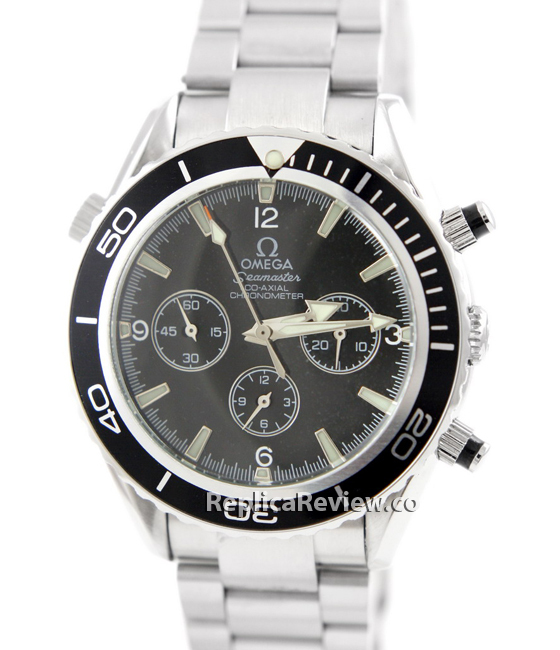 Hey, I want to buy omega replica which site or seller would u recommend for quality replicas? Hi Tine, Pant Watches prices are too cheap. 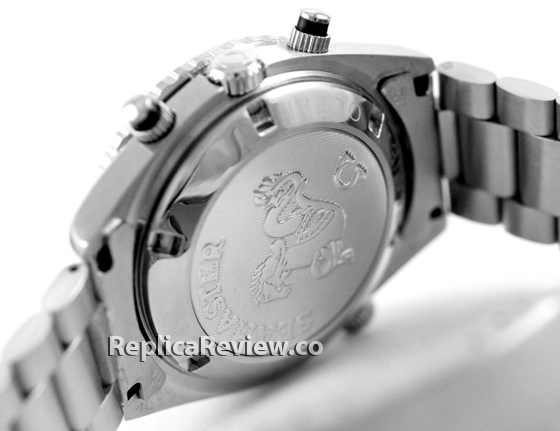 I guess whether their replicas are of low quality, or they don’t exchange/repair faulty watches. If you decide to purchase from pantwatches.com, make sure you pay with card. At least you can dispute the charge if the watch won’t be good.